Cliquez ici pour la version française de cette page. We’re interested in finding high-growth start-ups from Francophone Africa that are looking to raise between $250K and $5M. 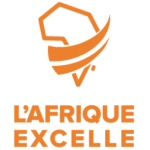 We’re looking for 20 scalable technology ventures in the late seed or pre-series A stage, well-positioned for growth and cross-border expansion in the Francophone Africa markets, and looking to raise between $250K and $5M. We can help with access to funding, networks, mentoring and a community of like-minded entrepreneurs. We can also help you refine your business model, grow your revenue and market share, and accelerate your cross-border expansion. Mentoring from two successful entrepreneurs or investors (international and local) to develop accurate company valuations, financial forecasts, risk management and customer acquisition strategies. Access to other expertise is provided based on your specific needs. The opportunity to engage with investors, domain experts, and corporate partners as well as peers at two all-expenses-paid residencies – in Mali and in France. Support in developing investment packages so you’re ready for investment following the program. Knowledge through curated content designed to teach you everything you need to know about marketing, financing and market expansion. Your start-up is for profit and registered, with a team of at least three people. It means that if you are an association or a NGO, you do not meet this criteria. Similarly, if you are on your own (a one-person company), you do not meet the criteria. A digital or tech product / service currently available in the market. If your startup is at the idea or prototype stages then your startup do not qualify for the program. People should be able to use and/or buy your product or service. Your offering uses new technologies to operate not just social media to spread its communication. Either based in or deriving at least 75% of turnover in one or several of the following Francophone Africa markets: Benin, Burkina Faso, Burundi, Cameroon, Central African Republic, Chad, Comoros, Congo, DRC, Djibouti, Equatorial Guinea, Gabon, Guinea-Bissau, Guinea Conakry, Ivory Coast, Madagascar, Mali, Mauritania, Mauritius, Niger, Rwanda, Senegal, and Togo. So either your startup is based in on of these countries OR it is based somewhere else but does at least 75% of its turnover in one/several francophone Africa countries. You have a very strong management team. When applying, it is important to present each management team member with education, background, career and the core expertise they bring into your startup. You can demonstrate tangible traction, evidence of revenue and potential to scale. This can be down by sharing actual sales numbers, forecasts but also contract which are being discussed/negotiated at the time of applying. While there will be exceptions, most likely your start-up has already received investment capital, as debt or equity, or received grants from donor organizations or prize money from competitions. The main language of this program is French, so fluent French is a requirement for participation. The application has to be submitted in French, the interviews will be in French, and the majority of Mali and France residency sessions will be in French. The final pitch at the Venture Showcase, however, has to be delivered in English, so an intermediate level of English proficiency is desirable. The company addresses a real problem in the market. The digital or tech solution is different from others in the industry. The product or service is catalyzing social change. There is potential to expand locally and into new markets. We can see demonstrable progress and your startup is scalable. The team has the qualifications needed to make the business successful. We will evaluate the market traction and potential market size. We’ll also look at the business model, revenue streams and unit economics, and if any outside funding has been raised before. The 20 finalists are expected to participate in the one-week residency in Mali (March 25-30, 2019), where the final cohort of 10 will be selected. Engage regularly with mentors (4-6 hours a month) over 6 months. Remember it’s a two-way street – both mentors and mentees learn and commit to this relationship. In many cases, we expect these relationships to last long after the program has ended. Over 6 months, participate in up to 5 virtual webinar sessions run by global experts with inputs from leading African and US investors and successful entrepreneurs. Engage with your peers part of the cohort, along with mentors, investors and strategic partners.